Lifelike robotic snake toy with realistic moving parts. 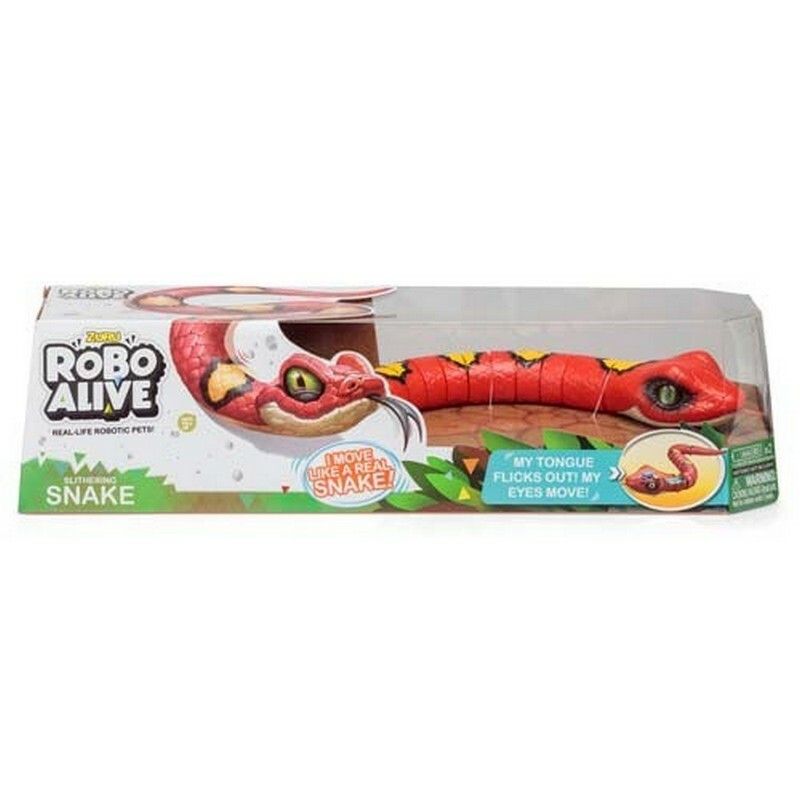 Flick the switch on its head and the toy springs to life, with its segmented body slithering along the floor just like a snake would. 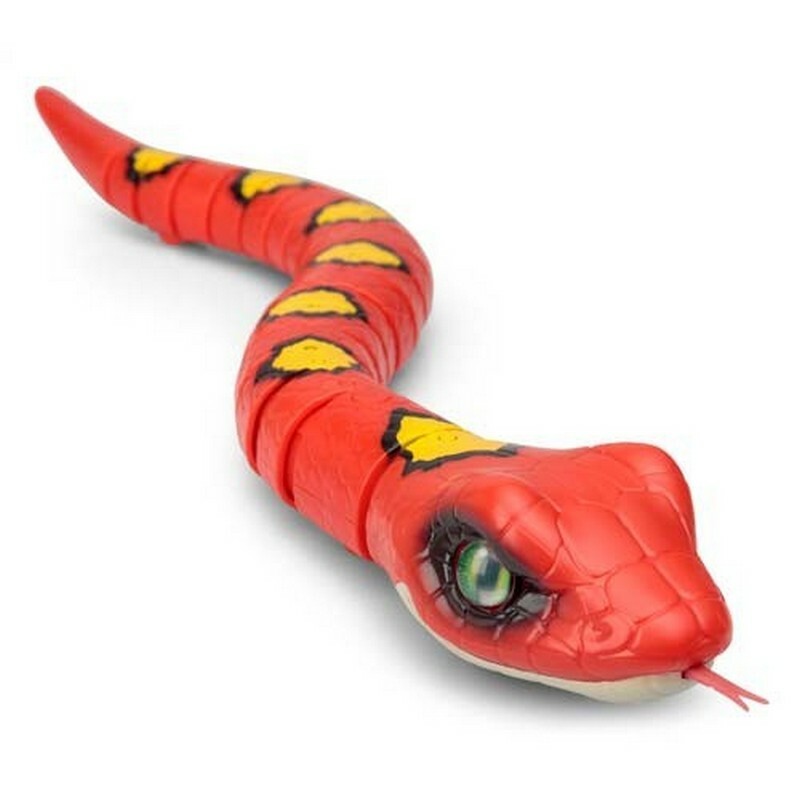 As it moves the snake’s tongue flickers and its eyes move, just like the real reptile. Requires 2 x AAA batteries. 38cm long.